A pharmacist is a medical professional who is licensed to dispense drugs to patients according to a prescription ordered by a physician or other clinician. 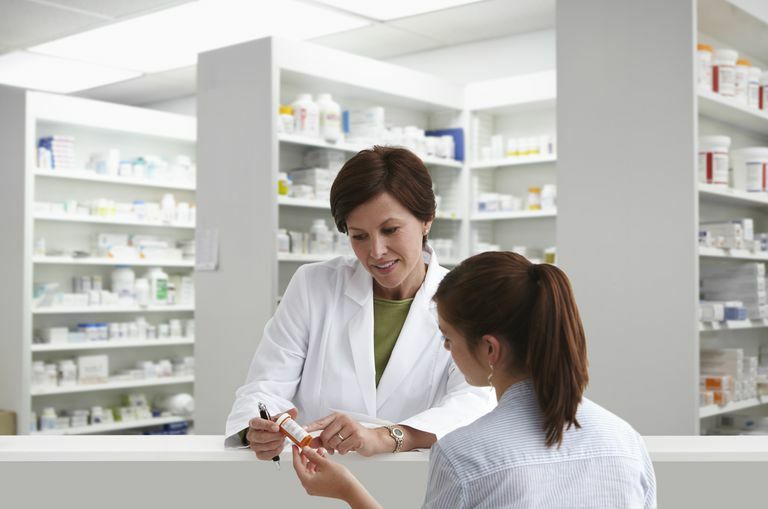 Most pharmacists work in retail or in a hospital setting. But pharmacists can also work in many other settings, including nursing homes, outpatient infusion centers, universities, pharmaceutical companies, or in healthcare policy. Pharmacists are required to have a PharmD or Doctorate of Pharmacy degree. College students can start a four-year pharmacy program after successfully completing the required undergraduate coursework and earning a passing score on the PCAT (Pharmacy College Admission Test). Coursework in pharmacy and pre-pharmacy includes chemistry, physics, biology, anatomy, and physiology. College students can apply to a four-year graduate level pharmacy program after two years of college and can graduate with a PharmD in about six years. Many college students do not decide until later in college or after college to become a pharmacist; therefore, some pharmacists complete eight years of studies. Pharmacists have an in-depth knowledge of the chemistry of various drugs, how they react in humans, and how drugs interact with each other. Most people think of a pharmacist's role as the person standing behind the counter filling prescriptions at the drugstore. That is because most people come into contact with pharmacists in the retail setting. But there are many types of jobs and career paths available to pharmacists. Retail pharmacists accurately measure and package prescription medicines for patients to pick up to use at home. Retail pharmacists often alert doctors and patients about possible drug interactions, and can usually suggest alternative medication choices. Pharmacists may educate patients about how to take the medication, which side effects to look for, and how to avoid adverse reactions or drug interactions. A hospital pharmacist prepares medications that will be administered to patients in the emergency room, the hospital ward, the intensive care unit, or who are having surgery. Sometimes, hospital pharmacists work with the patient care team to determine which dose or medication is appropriate, especially for complex situations. Pharmacists may dispense medication in an extended care facility, nursing home, or rehabilitation setting. Usually, patients in this setting have many long-term health problems and take many medications, so attention to potential drug interactions is crucial. A nuclear pharmacist prepares radioactive materials that are used for diagnostic tests and therapeutic procedures. Often, in the hospital setting, a specialized pharmacist has this role. A pharmacist who staffs an infusion center prepares medications such as chemotherapy and immunosuppressants. Some of these medications may cause serious side effects, requiring caution. A pharmacist who works in a compounding pharmacy may prepare special formulations or combinations of drugs. Although prescribed by a physician, these compounds are typically used for indications that are not approved by the U.S. Food and Drug Administration (FDA). A compounding pharmacist may prepare chemotherapeutic medications or drugs for a rare condition. Pharmacists can work in healthcare administration, working in utilization review for health insurance payers to approve or deny prescriptions based on established guidelines. A pharmacist can climb the ranks of a payer company, determining the overall direction and financial goals of the organization. Pharmacists can become involved in healthcare policy, such as working for the FDA to review new and developing drugs when researchers are seeking permission for research studies or approval for consumer use. Pharmacists can work in a university setting, running clinical or laboratory-based research, which usually requires grants and consistent publications of outcomes. Pharmaceutical development and marketing: Pharmacists can work in the pharmaceutical industry, developing new drugs and working on marketing strategy. Medical science liaison: A medical science liaison connects with physicians on behalf of a pharmaceutical company, providing them with updated data and research information. Education: A pharmacist can work as a professor, teaching graduate or undergraduate level students, guiding curriculum, or overseeing licensing examinations. According to the Bureau of Labor Statistics, the average annual salary for full-time pharmacists in 2017 was $124,170, or $59.70 per hour.